Honest Mining was on the road throughout November to gather & introduce digital assets & blockchain in Indonesia. 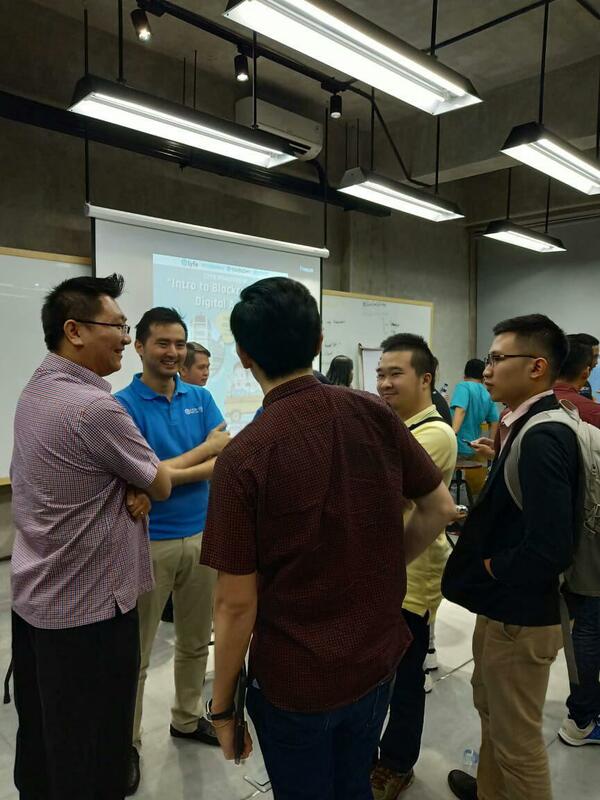 People who came were curios, a few were intrigued, and with some of the negative news – we realized many were scared. There is a saying in Indonesian language, “Tak kenal maka tak sayang“. 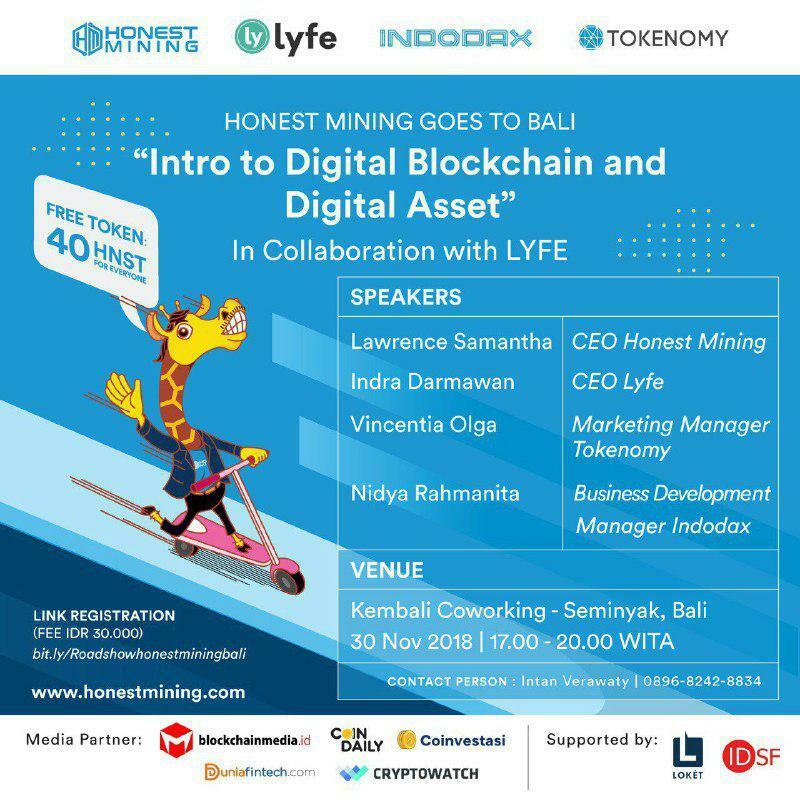 We are glad that after the event, many realizes that digital assets are not something to be afraid of. 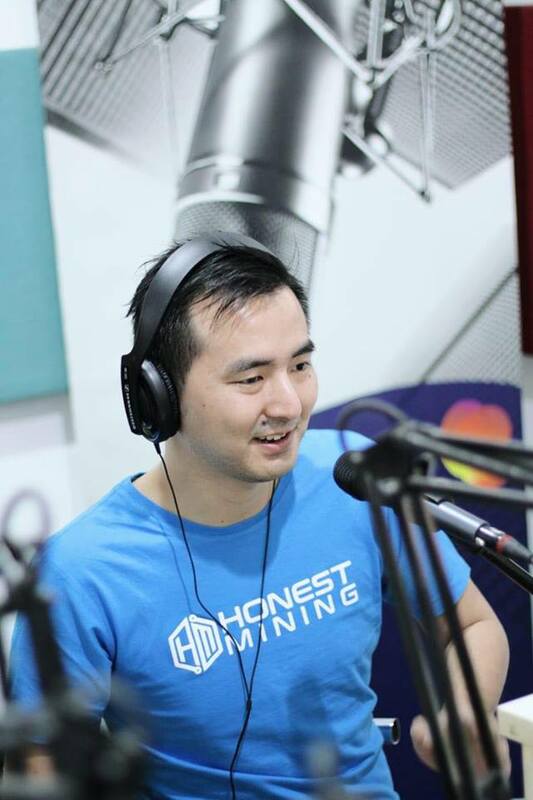 They were excited to see the unlimited potentials that blockchain offers, and how Honest Mining can help them be part of this movement. Our roadshow partners- LYFE , INDODAX & TOKENOMY. Surabaya is the second largest city of Indonesia. It is a port city on the Indonesian island of Java that is really vibrant & sprawling metropolis. The city consists of modern skyscrapers with canals from its past Dutch colonial days. 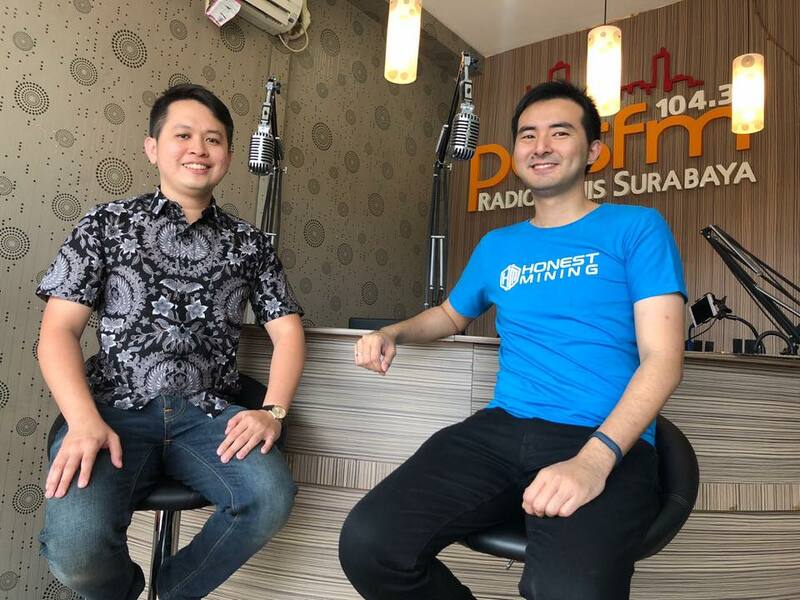 Lawrence Samantha, our CEO and Indra Darmawan, the CEO of LYFE were live on PAS FM Surabaya – a leading business radio in Surabaya for an after lunch talk show. 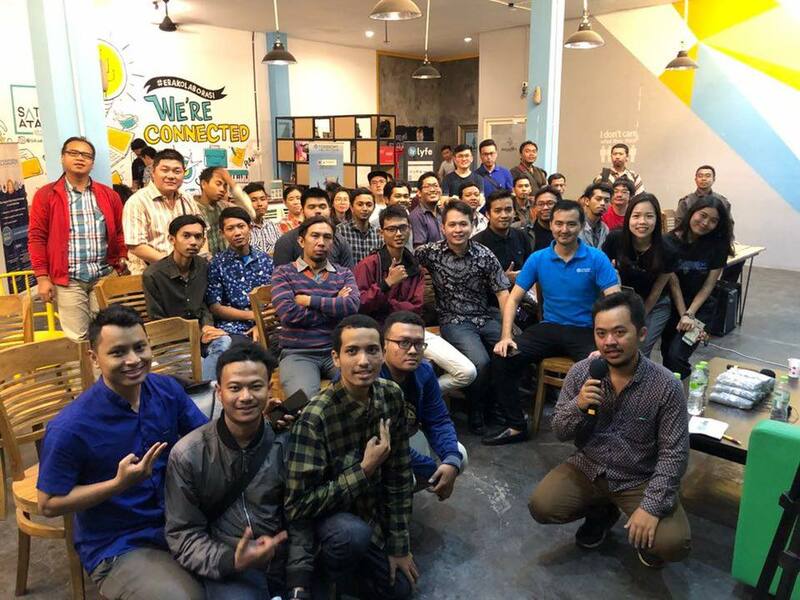 Then on the evening, we had gathering at Satu Atap Coworking Place. Medan is the fourth largest city of Indonesia & largest city in Sumatra. It is a trading city that located on the busy strait of Malacca. As a hugely multicultural city, Medan is also linked very well with Singapore & Kuala Lumpur. Bali, the island of Gods. It is an Indonesian island known for its forested volcanic mountains, iconic rice paddies, amazing beaches and beautiful coral reefs. It also home for many digital nomads from around the world. 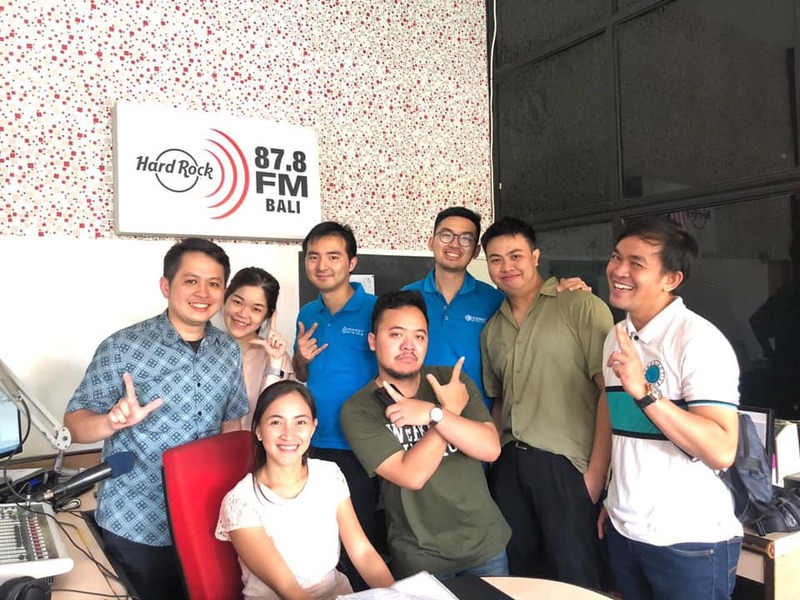 Honest Mining visited Hard Rock FM Bali for an afternoon talk show, followed by a gathering at Kembali Coworking Space.